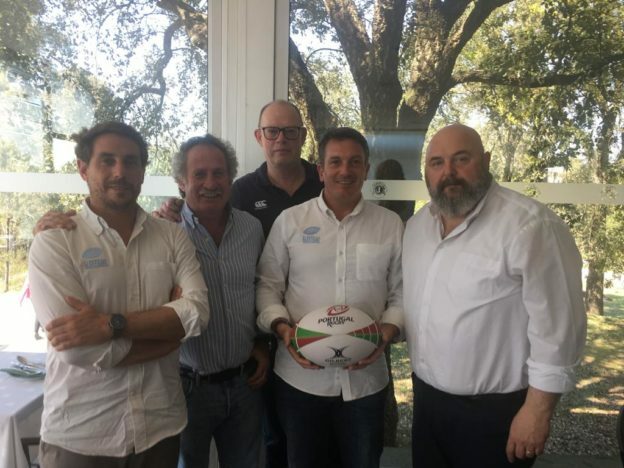 The EBRA – European Beach Rugby Association met in an extraordinary meeting in Porto in order to establish a common organization in view of the start of the Beach Rugby summer circuit. Many issues have been addressed, all of them the desire to manage the European series in a unique way. << With the new formula adopted to participate in the finals - commented Lionel Laugier, EBRA president - we have refreshed ourselves in many ways. Many tournaments have opened to their own vision and the numbers in general have increased. We have also given ourselves a unique communication segment and now the reference for European Beach Rugby will be our website - www.beach-rugby.eu - and our Facebook page >>. The interest that has developed around the oval manifestations managed by the EBRA, Porto, Marseille, Figueira, Lignano Sabbiadoro, The Hague, has led to numerous other realities worldwide to propose to become part of it; in this context the EBRA representatives have decided to monitor and help some well-defined areas in their development: development projects have thus been started with regard to Oceania and the Pan-American one. << We say that if we have always tried to look at Europe - concludes Lionel Laugier - from this meeting onwards we want to think big and think about creating something at world level. We have the management skills, the contacts also, so there was a willingness on the part of everyone to evolve and give space to the development of beach 5s in other shores, which however had already been interested in EBRA independently. What awaits us looking to the future? So much work, but the hope is to create a global beach 5s circuit >>. This entry was posted in News and tagged Association, beach, EBRA, European, extraordinary, Meeting, Porto, rugby on April 5, 2019 by EBRA Admin.